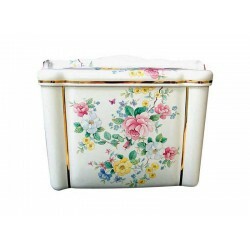 Hand-painted watercolor style Chintz design looks great in any bathroom with pink and white roses, yellow buttercups, light blue forget-me-nots, lots of green leaves and even a butterfly or ladybug. Looks great with the addition of the scalloped edge on this drop-in basin. 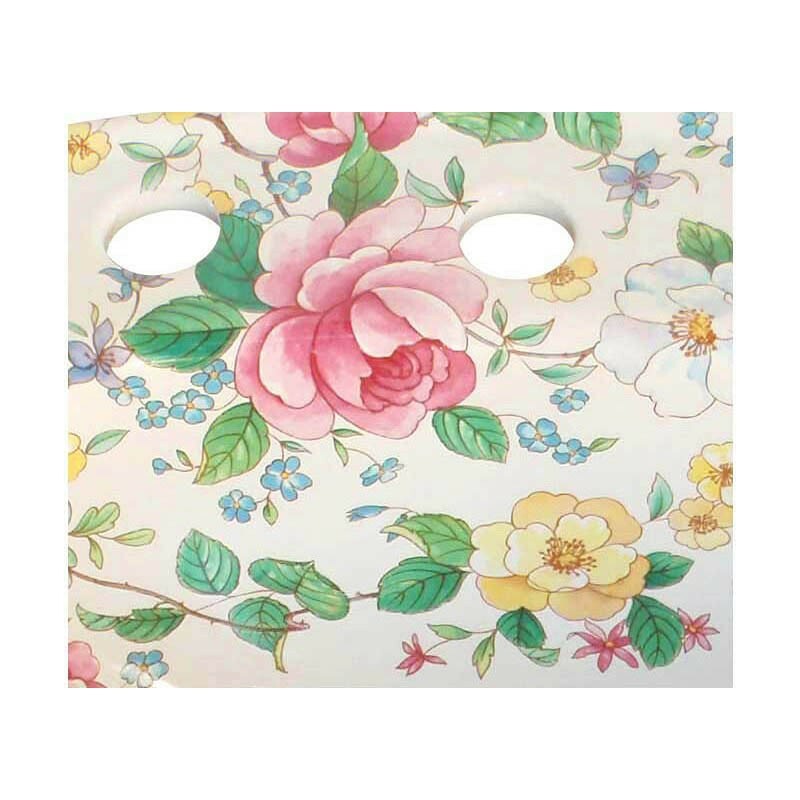 All of the Chintz designs can be adapted to almost any style of sink or toilet and can be modified with more or less of the design on the fixture. Shown on a Scalloped Drop-in. 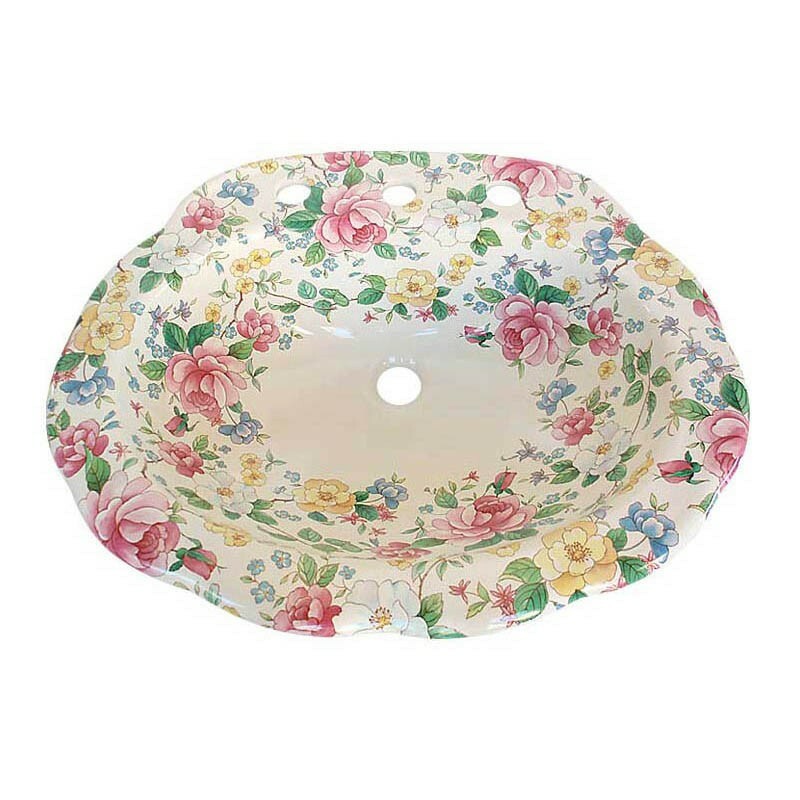 We have a limited quantity of the scalloped sinks left in bone and biscuit with 4" or 8" faucet centers. If you would like a scalloped sink, please call us and we will let you know what's available.